The term ‘gas’, derived from the Greek khaos (chaos), was first used by the Flemish chemist Jan Baptist van Helmont (1577-1644) to denote an occult principle which he believed inhered all matter. For him, gas summoned the sense of the ‘proper elements of spirits’. 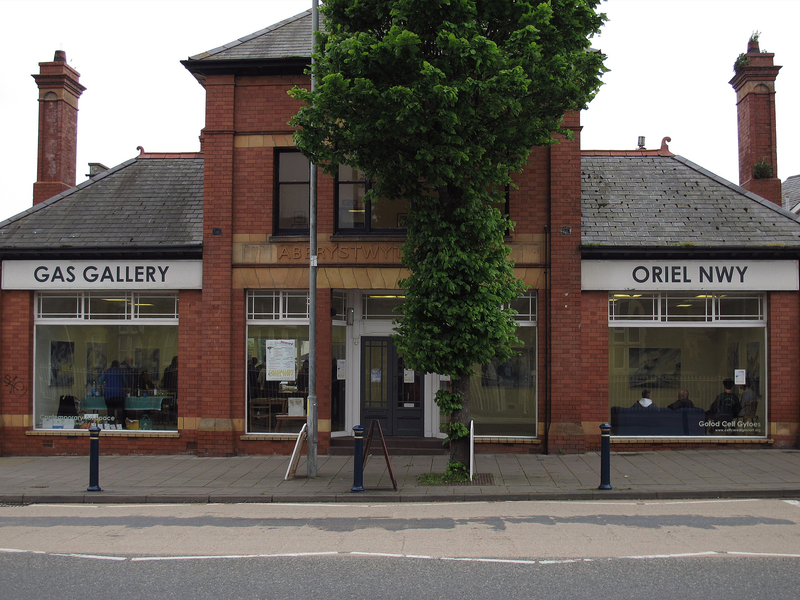 On Saturday 10 May 2014 I gave the opening speech at the Expansive exhibition of works by Rebecca Backshall, held in the Gas Gallery/Oriel Nwy, Aberystwyth on the occasion of its Spring celebration: Expansive. The title of this exhibition could just as well describe the artist as the artworks. Becky is one of the most magnanimous, genial, and genuinely open-hearted painters that you could ever wish to meet. She’s also one of the most broadly gifted students to emerge from the School of Art, Aberystwyth University. But facility across a range of artistic styles and genre can be a blessing and a curse. Some students fail to achieve anything of significance not for want of artistic talent but for surfeit of it. As an art teacher, one is always concerned that such a student will not stand on one spot long enough and drill sufficiently deeply to strike oil. Becky has always known where and when to stop, and, as importantly, when to move on. She exemplifies the principle that an artist’s qualities lie not only in the gifts they possess but also in the choices they make. She’s also a practical illustration of the axiom that aptitude and acumen will not get you far without also the willingness to work hard. And, believe me, Becky has a capacity for production that would impress workers at a Soviet tractor factory. In his best known book Walden (1854) (which every landscape artist ought to read), the American transcendentalist Henry Thoreau wrote: ‘It is something to be able to paint a particular picture … but it is far more glorious to … paint the very atmosphere and medium through which we look’. Like Thoreau, Becky is most at home when out of doors. And I suggest that, in some important respects, her paintings embrace his ideal. For they seek to represent not the gross materiality of reality but, rather, the ambiance of mystery and intangibility that encompasses, pervades, and binds all things together. 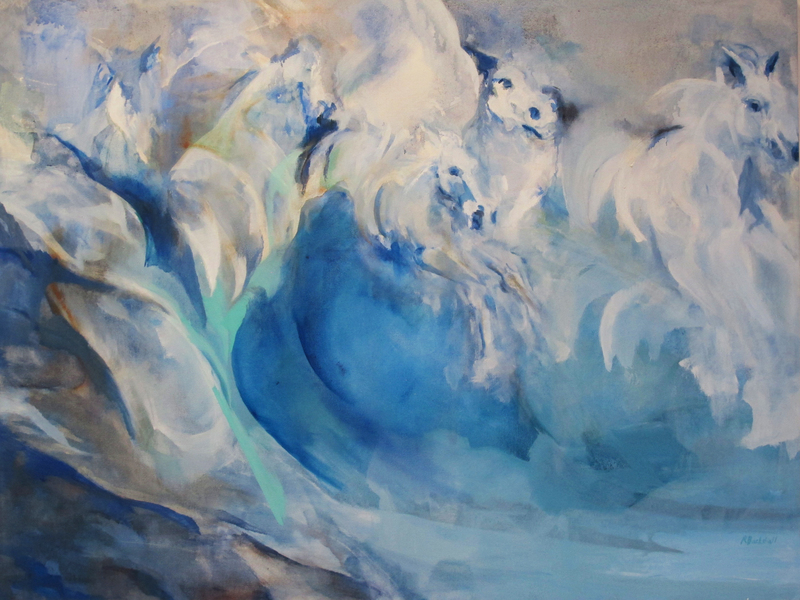 In some of her paintings, she renders the translucent and tenuous membranes of life. In others, Becky shows us the world as though bursting apart, like dried autumn leaves tossed into the air. During our conversations, she has spoken of her works as alluding to the transfer of energy from wind to sea to shore, and from hand to brush to canvas, and as evoking a change of state from breaker to creature and from woodland to human. Becky is, in this sense, a painter of ideas. Not in a purely intellectual or conceptual sense. This is felt thought: notion marinade in emotion. And, these are works in which meaning is mediated as much through the process of painting as by their represented subject. But, it must be said, Becky’s encounters with nature have not always been positive. On one occasion, she tried to negotiate a large canvas in a gale only to wind-sail into the bushes at the front of the art school. Mercifully, the canvas survived relatively unscathed. Her experience is a striking, if painful, metaphor for the perils of artistic endeavour. We struggle against the odds, and are sometimes beaten down and bruised in the process. And if that’s not been your experience as an artist at some point in your career then, trust me, you’re doing something wrong. Expansive is an appropriate title for an exhibition held in the Gas Gallery. You’ll recall from your physics textbooks at school that law of the properties of gas which states that it expands to fill any available volume. Well, Becky’s works occupy this space admirably: but not in an assertive way. They don’t insist on being seen; their influence, like that of their maker, diffuses gently. So, it remains for me to turn on the gas, strike a match, and declare the exhibition alight’.